VSpicery LOVES flavor. Whether chili powders or different cinnamon varieties (yes, there is a difference) VSpicery loves fresh, big and bold flavors. The same can be said about salts. 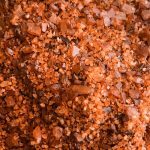 We have a variety of 17 sea salts, 5 of which are VSpicery’s very own sea salt blends. There is a difference in the flake and taste of each salt that we carry. For instance, we have two salts infused with activated charcoal to provide digestive and other health benefits, but they are vastly different. Cyprus Black Lava is very salty at the front of your palate then finishes very smooth at the back of your palate. As you can see in the picture to the left, this salt forms in really cool looking pyramid crystals. 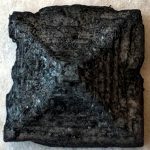 Hiwa Kai is a delightful tasting salt that is tossed in activated charcoal from coconut shells and versatile enough to use in pretty much anything. Although we don’t recommend putting it on rimmed drinks, as the charcoal can dust off and cast a shadow on the drink. As far as salts go, both Cyprus Black Lava and Hiwa Kai are good for you and have striking visual appeal for dramatic presentation. 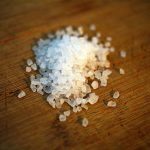 Another Hawaiian sea salt is Alaea. Although they both are Hawaiian sea salts, Alaea is different from Hiwa Kai in that it is enriched with purified red alaea clay from the Hawaiian island of Kauai. This clay gives a slight mineral taste and is delicious when used with pork or other meats. Pure Ocean Sea Salt is exactly what it purports to be. 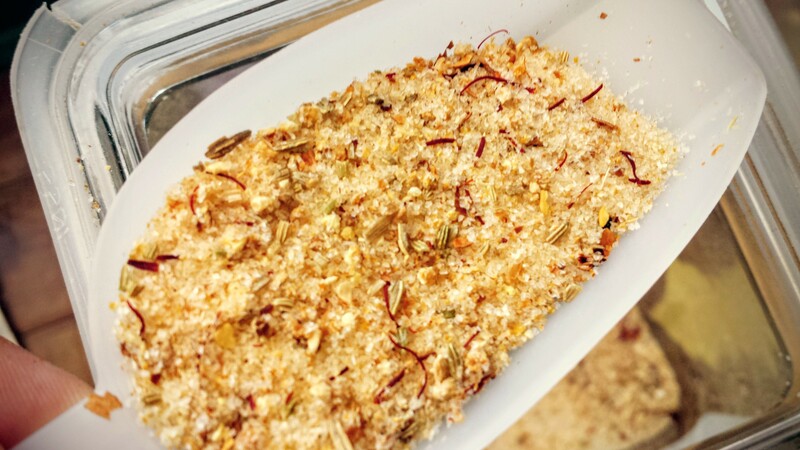 It has a clean, refreshing taste and is lovely to use as an every day salt. Delicious on everything, especially veggies, seafood, beef and poultry. Our Black Truffle Salt is so flavorful! Italian sea salt is infused with real Italian black truffles to create a true truffle flavor. Perfect for popcorn, fries, potatoes, eggs, veggies, chicken, beef and more! Other salts in our array are Fleur de Sel, French Grey, Murray River, Himalayan Pink, and two smoked salts: Alderwood and Applewood. One of the fun dinner games we play with our dining guests is to set various bowls of salt down the center of the table for them to try. Frequent diners can be seen separating the food on their plates and trying a bit of each salt to experience the subtle flavor differences each of the varieties imparts on the food. This is fun, interesting and educational. Note: I make sure to under salt the food when this game is played. 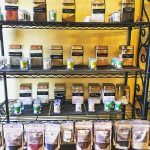 Intrigued by our wide variety of salts? Then do yourself a flavor and come on in to sample something new. 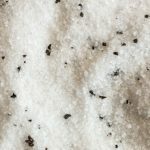 Our extensive line of salts are also available right here on our salt page. That’s it for this month. We hope our northern friends have finally thawed out and that Spring has sprung in their towns, while our locals are gearing up for Summer. 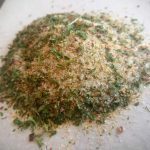 Previous post: VSpicery’s Knife Skills Day! Next post: Hello summer, our old friend!